PLEASE HELP with this film. I can’t seem to locate it either on film, VHS or DVD or anytime on television. Is it a Lost Film ? I saw it as a young kid and it was probably a second feature as it is labelled a B Movie. Saw it at the Pavilion Cinema – like so many no longer there. 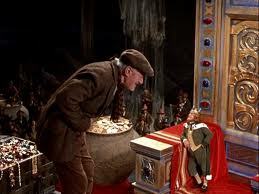 I have looked for it for years and didnt know the name of the film but remembered something of the storyline. I had missed the ending at the cinema having to catch a bus home. I had thought it centred around Inca treasure but just by chance I got a clue to the name. A few Christmases ago I purchased a Glenn Ford film ‘Lust for Gold’ made in the late forties and sat down and watched it. 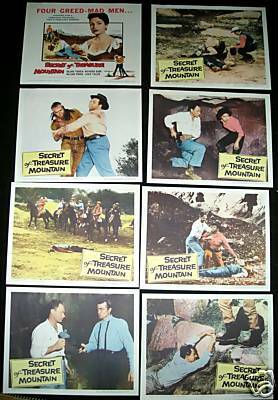 I then saw some of the same scenes as I had remembered for more than 50 years involving Indians firing arrows and attacking in a mountain terrain which was a very large and well prepared studio set. However even though the shots looked the same this was NOT the film I remembered – I knew that. 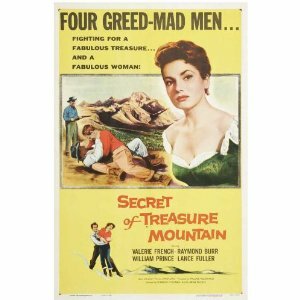 Extensive stock footage from 1949 film Lust for Gold with Glenn Ford, is used to flesh out the Columbia potboiler Secret of Treasure Mountain…. The Apache Indians made three crosses of gold, which, when combined, will reveal the gold’s hiding place. One of the crosses is held by the people searching for the treasure and if they find all three crosses they will locate the horde. Two men later become involved in a fight and roll down an embankment. Their fall loosens some rocks and another cross is found. The two characters Audrey and Robert find some unusual rock formations, and in a rock archway Robert notices that his body casts a shadow across the rocky valley. Where the shadow is cast is where they need to be but then they are attacked by the Indians and the rest I do not know as I am still waiting after all these years to see the end !!! One other clue is that I seem to remember that the items that linked up for the treasure were called The Braganza Crosses’. That is a 50 plus year old memory but I am pretty sure thats what the name was. The film starred Raymond Burr – who the following year started his long stint as Perry Mason – Valerie French and William Prince and was a Columbia Pictures release in June 0f 1956. It was in Black and White. Don’t know much about Valerie French except that she was born in London and had been married to Michael Pertwee. As for William Prince well I feel I should know a lot about him as he made loads of film and TV appearances over many years. This must be one of Elvis Presley’s best films – although that might not say much. Colonel Tom Parker his manager had cleverly moved to get Elvis into films because this was the only way at the time to capitalise on his worldwide potential. In those days there was no satellite TV or video tape – not even a colour TV – so this was the only route forward and it proved a very successful one. 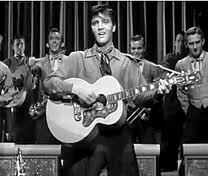 The early films such as Love Me Tender, Loving You and this one gave Elvis good roles but it was King Creole that to me gave him the best storyline and certainly ths strongest cast of co players. The Colonel in a master stroke got him Michael Curtiz as director and a top flight supporting cast consisting of Oscar winners like Dean Jagger as his father and Walter Matthau as the villain of the piece. The other top rate players were Carolyn Jones, Vic Morrow, Paul Stewart, and Dolores Hart. Elvis plays Danny Fisher a troubled youth searching for himself a role that James Dean excelled with in East of Eden. To spport his family, Elvis has to go to work because his father has been unable to hold down a job ever since the death of his wife. He gets a break in Walter Matthau’s club with an impromptu audition, but it is rival owner Paul Stewart who hires Elvis. That sets the stage for a lot of the action to come. 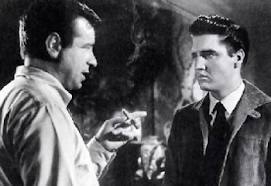 Walter Matthau plays an exceptionally nasty bad guy in King Creole. Her last film role was in 1963 and for whatever reason at that time she made up her mind to leave the film industry, and after breaking off her engagement to Don Robinson, the 24-year-old actress became a Roman Catholic nun in Bethlehem Connecticut. So ended the film career of this very attractive young girl who left the world of glamour and has since led a very different life although probably much more fulfilling. She has recently been interviewed about those now far off days. 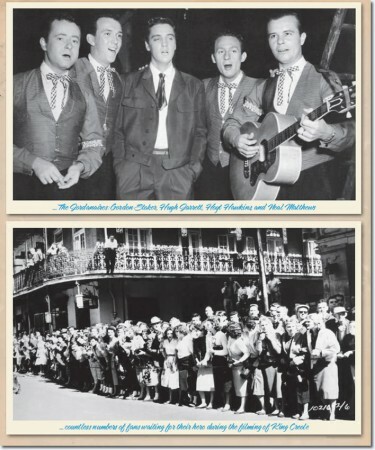 The title song became one of Elvis’s early best sellers and it is also the name of the club Matthau owns in the New Orleans French Quarter. Presley has some other good numbers in this film as well. 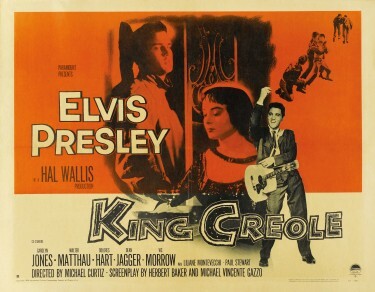 King Creole also was one of the first of Harold Robbins’s novels to be made into a film. In order to make this film Elvis had to defer beginning his military service from January to March 1958. Filming waswas delayed several times on location by crowds of fans attracted by the apperarance of Elvis on to the location set. 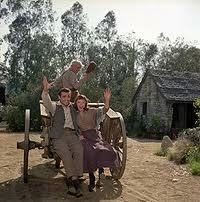 The film was released by Paramount Pictures on July 2, 1958, to both critical and commercial success. The critics were unanimous in their praise of Presley’s performance. I remember seeing this film in St.Albans either at the Odeon or the Gaumont whilst on our annual holiday there probably in 1959. The scenes of the banshee and the death coach were really scary and so impressive that I have carried the memory to this day. When I saw the video on its release many years later, I was astonished to find that the scenes were still impressive even after all those years. In fact my daughters who were very young at that time of the video release just could not watch the Banshee and the Death Coach when it arrived. Walt Disney always maintained that children don’t mind being scared if they are with their parents and I have a feeling this is quite true. This is a Disney masterpiece in its own way but I don’t remember it being accompanied by the same publicity machine that was used for previous films like Treasure Island and Robin Hood for instance. Considering how sophisticated special effects have become since ‘Darby O’Gill’ was made in 1959, this film still looks good and the special effects appear astonishing and that’s quite a tribute to the moviemaking skills of the day. This was the work of Peter Ellenshaw who was the Matte Painting genius of the world who had worked exclusively for Walt Disney from 1950. The duals between Darby and King Brian, are wonderfully funny, as each tries to outsmart the other. The village characters are all well-drawn and very likeable. The scenery is lovely aided again by some stunning matte paintings by Peter Ellenshaw. The actors are well up to the job and seem to fit the roles well. The music is catchy and really there’s nothing not to like in this movie. 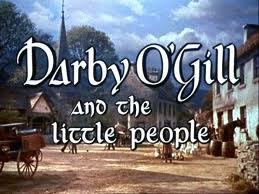 Favourite scenes would have to include the banshee and death coach at the end, as mentioned, and all the leprechauns dancing under the fairy mountain then riding their little white horses out into the night as Darby plays them a wild tune on his fiddle. These stills from the film are really good ones and at the time gave us a flavour of what we were to see once inside the cinema. 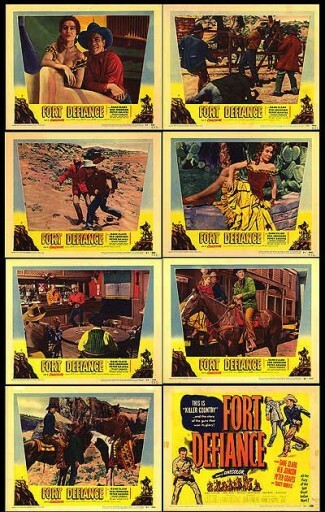 I do recall every film seemed to be accompanied by these Front of House Stills which were displayed outside the cinema to lure us in and quite often in those days we did go in. We have not yet mentioned the actors in any detail. Albert Sharpe played Darby brilliantly and King Brian was played by Jimmy O Dea. Sean Connery had a singing part in this and his girl friend was Janet Munro who became a Disney regular in Third Man on the Mountain, Swiss Family Robinson and this one. In 1972 Janet died under somewhat mysterious circumstances. Reports circulated that she choked to death at a London hotel while drinking tea. The immediate cause of her death was acute myocarditis; the underlying cause was chronic ischemic heart disease. The sun set all too soon on this lovely actress at the age of 38. She was survived by her two daughters, Sally and Connie her children from her marriage to actor Ian Hendry. I seem to remember that they lived on an island in the Thames up towards Maidenhead. Keiron Moore played the baddie in this. This is one of Disney’s very best films. 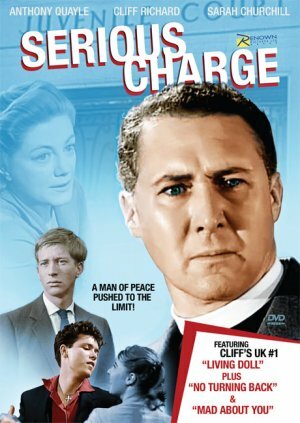 The story really centred around Anthony Quayle as a vicar trying to help young people with a youth club and being wrongly accused of bad things. 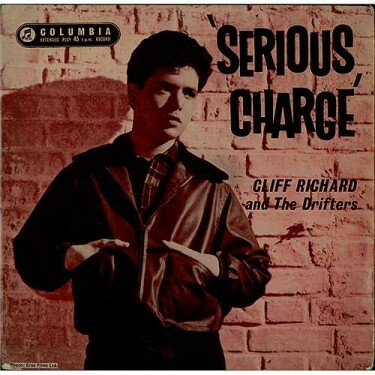 It was a strong storyline and Cliff had a minor role but still managed to sing three songs. 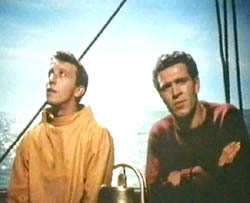 The film is remembered and billed as being a Cliff Richard movie but he was little involved. 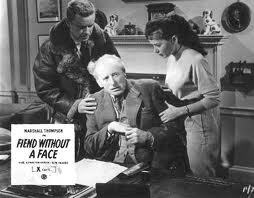 Anthony Quayle was a very good actor and appeared in a lot of films. He was married in real life to Dorothy Hysen who had appeared some years earlier with George Formby in Spare a Copper. Quayle always had a very serious appearance – in fact he was said by Sir John Geilgud as having a face like ‘two tins of condemned veal’ – a little harsh maybe. 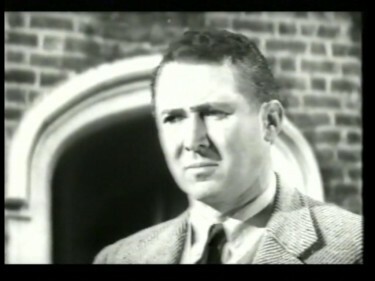 In the same year as this Anthony Quayle appeared as the leading baddie in Tarzans Greatest Adventure with Gordon Scott in the title role. Sean Connery was also in the movie and came to a sticky end with an arrow through his chest. Cliff on the other hand was just getting into gear and he would have already released Move It and his first Number One ‘Living Doll’ was actually featured in this film – something I had forgotten until seeing the above poster. He was at this time with The Drifters who shortly after this became The Shadows to avoid confusion with the American ‘ Drifters’. I remember Cliff coming to appear in our local town and after the concert he was introduced to selected local girls – one of which I knew at the time – and following a hand shake he said to the girl ‘I bet you won’t wash your hands for a week now’. This did not impress her and she promptly went off and had a wash. It was probably just one of those type of things we all say and then regret. Funny how such silly little stories stick with us. 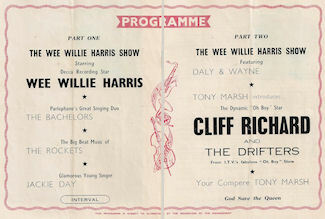 I am pretty sure he appeared on the same bill as Wee Willie Harris and The Bachelors – not the Irish Group though. He stayed in our town at the Devon Hotel which is no longer there now. I have a vague recollection of seeing this film a long long time ago and so am commenting on something I know little about really. However the reason for the article is that I came across this poster for the movie and on looking a little further found that someone had written this piece which makes it sound very good. Fort Defiance pulls off what many more much higher-budget films don’t come close to doing it gets nearly everything right: not in any monumental way, but just enough in every department to make it a good, solid, satisfying film. In this John Rawlins-directed picture, Ben Shelby (played by Ben Johnson) returns from the Civil War looking for revenge on the soldier who never delivered a message to his unit, causing everyone to be killed, except him. When he gets to the traitors home, he finds the mans old father and his blind brother (a very young Peter Graves) trying to run the ranch. Ben stays on as a ranch hand to wait for his enemys return. Along the way, he comes to really like the old man and the kid, and they really like him too. The single best thing about this film is Johnsons tough, but ingratiating, performance in one of his few leading roles. John Ford discovered him, and he had the lead in one of Fords films (Wagon Master), as well as Mighty Joe Young. But Johnson was best known as a durable, believable, Oscar-winning character actor. He had been a champion rodeo rider before going into movies, and it shows in this film as he does the best flying dismounts of any actor in Hollywood. 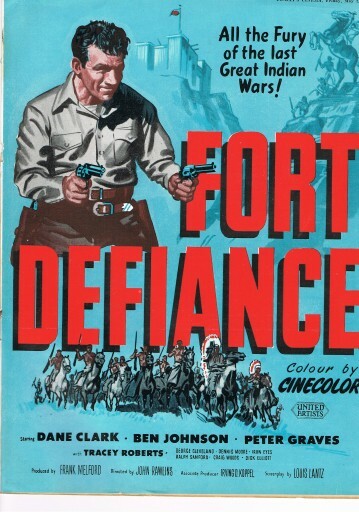 Fort Defiance also has a wonderfully amusing performance by the underrated Dane Clark. He is a wise-cracking, two-gun killer, and he hasnt got any problem with that. But if you do, you are in trouble. Screenwriter Louis Lantz didnt have much of a career, and his best credit was writing the story for the Marilyn Monroe/Robert Mitchum film River of No Return. In this case, however, Lantz provided a well-constructed script thats loaded with good lines. 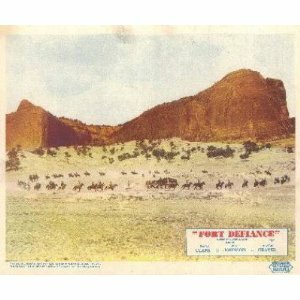 The pretty colour photography, shot on spectacular locations outside Gallup, New Mexico, was by Stanley Cortez. Cortez shot Orson Welle s classic, The Magnificent Ambersons, one of the most beautifully photographed movies of all time.. I did read somewhere that the TruColor they used was better in the outdoor sequences than in the studio interior sets. The above review means that I will now purchase the film and enjoy it I hope. So says the headline on the front cover of To-Days Cinema of 16 August 1954. 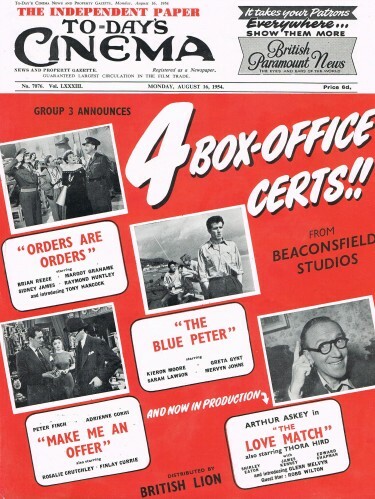 Two of these films I know very well – The Blue Peter with Keiron Moore and The Love Match with Arthur Askey which must rank as one of my all time favourite comedy films. The film itself was made in Tecnicolor and Cinemascope. Keiron Moore played one of the instructors and the female lead was Greta Gynt who by now was at the end of her film career. They were both quite good in the roles. A young actor called John Charlesworth played the young man with the fear of heights who eventually comes good. He had a busy career. He was in Scrooge with Alistair Sims, the Bunter series and many other film and TV appearances. Sadly he died in 1960 aged 24. There is scant biographical information available on John. He was born John William Charlesworth on November 15th 1935 in Hull, Yorkshire, England. He appeared in a large number of films during his young life. The most famous of these being the 1951 Alastair Sim vehicle ‘Scrooge’. Charlesworth played the role of Peter Cratchit. On April 2nd 1960, John took his own life. A very sad event for someone who seemed to have achieved such a lot in a short life. Harry Fowler also was in this film playing a young man years younger than he would have been at the time but he looked ok in the role. 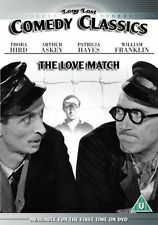 Arthur Askey was very lively in this role and he had a marvellous cast around him in Glenn Melvyn, Danny Ross, Thora Hird, Shirley Eaton and Rob Wilton. Glenn Melvyn had written the story and played Arthur s sidekick working on the railways. Thora Hird was Arthurs wife and the lovely Shirley Eaton his daughter who enters a dancing contest and teams up with Danny Ross who later becomes her boyfriend. Arthur who is a train driver has borrowed money from the works holiday fund and needs his daughter to win the contest to get him out of trouble. It all ends well. The comedian Rob Wilton is hilarious as a magistrate in a sequence where Arthur and Glenn appear in court following an incident at a football match when they are arrested for being abusive to the ref (William Franklyn) who later comes to lodge with Arthur and his wife. Glenn Melvyn met Ronnie Barker in repertory theatre and gave the young actor his break into television, offering him a role in Im Not Bothered 1956. Glenn Melvyn worked a lot with Ronnie Barker in his younger days and it was Glenn who perfected the stutter in this film that Ronnie copied for Open All Hours a number of years later. Glenn Melvyn was apparently a very talented actor. He died in 1999. We all know about Thora Hird and Shirley Eaton was the girl painted all over in gold in the film Goldfinger. Danny Ross was really funny in this and later played a lot with Jimmy Clitheroe both on radio and TV. The Love Match is a wonderful and funny film and is available on DVD. I am not sure though the the Headline 4 Box Office Certs proved to be the case as with The Love Match the Box Office figure totalled £174,500 – so not exaclt a blockbuster. Must have earned more in DVD sales !!! 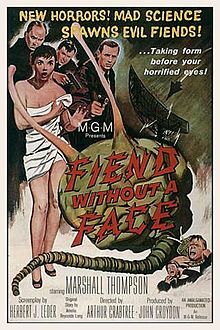 Fiend Without a Face is a 1958 British Horror Film directed by Arthur Crabtree. 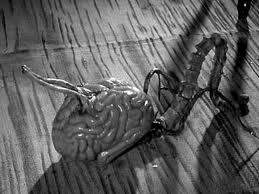 It tells the story of mysterious deaths at the hands of an invisible life-form that steals human brains. The film is set on a US airbase in rural Canada. Mysterious deaths begin to occur in the small town near the base, and postmortems reveal that the brains and spinal cords of the victims are somehow missing; only marks on each victim’s neck are left as a clue. Locals feel this has a lot to do with a nearby nuclear facility. Marshall Thompson plays an army Major who suspects also that this is the case and he becomes suspicious of a Professor Walgate, a British scientist living near the airbase, who has been experimenting with telekinetics. Walgate, it is soon revealed, has succeeded in developing the science. Marshall Thompson came over to England to make this picture which had a budget would you believe of £50,000. He had already appeared in a number of films from 1944 and continued to work continuously until his death in 1992. Just before this he had been in another Horror Film – Cult of the Cobra – which seems to have a plot similar to the later British film The Reptile. He is best remembered here more for Clarence the Cross Eyed Lion which sparked off a long running TV series Daktari. Professor Walgate was played by none other than Kynaston Reeves, a name well remembered from the early days of TV as Quelch the headmaster in the Billy Bunter series. I do recall him very well from this although on checking he did not play the part for very long. Also I think he has a name that sticks with you somehow. He was also in the classic The Forsyte Saga playing one of the older Forsyte family – Nicholas Forsyte and also in two of The Avengers episodes and in one he played a character by the name of Major General Ponsonby-Goddard. The female lead was played by Kim Parker who actually only made ten films of which this was the ninth. The film climaxes with the visible creatures attacking an isolated house, where most of the film’s main characters are gathered. They have come well armed, and soon discover the creatures can be finished off with well-aimed gun shots to the exposed brains. In the end Major Cummings succeeds in blowing up the airbase’s nuclear power plant , which deprives the creatures of their power source and they die very quickly and then dissolve away. For some strange reason this is a film I remember very well from first seeing it although it was some years before I saw it again on TV and I have not seen it for ages now although it is available on DVD. It has an unusual theme and is quite compelling and very watchable. It will be dated now but it is well worth viewing. Memories of this film released in 1954 and one I saw at the Odeon in St. Albans are still crystal clear because in those days in the early days of TV which as we all know was in Black and White and on such a small screen, we had seen nothing of the South Sea Islands and here we were transported to Fiji in Technicolor on the giant Cinemascope screen. We saw a swashbuckling Burt Lancaster – previously having seen him in The Flame and the Arrow – and the very beautiful Joan Rice. Joan was a British actress who had just starred as Maid Marian opposite Richard Todd in Walt Disneys The Story of Robin Hood and now had been out to Fiji to film this one. It was directed by Byron Haskin – previously he had done Treasure Island here in England and he was very good with this type of action movie. 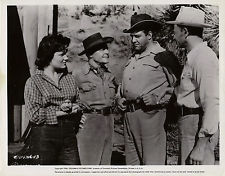 The lovely star of this film – Joan Rice. 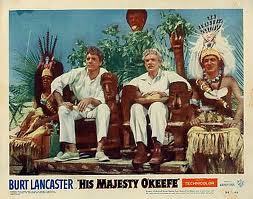 On a recent cruise holiday, my wife and I had called at Suva in Fiji and during the bus tour our guide asked if anyone had heard of or seen His Majesty O Keefe and I was able to say – Yes I have seen it about 50 times – and he said that the scene in Hong Kong with Burt Lancaster and Joan Rice had actually been filmed in the heart of Suva. He also showed us where some of the action shots were done. It seemed a film that they were quite proud of – and why not. It is a very good and enjoyable film. It wasn’t the first because Jean Simmons had been out to Fiji a year or more before to film The Blue Lagoon. I quite often think about those young actresses going out to Fiji in those days – even now it is a long way but then it must have taken ages – but what an adventure for them !! Burt Lancaster plays a sea captain / adventurer IN 1870 who plies his trade in the South Seas and in Fiji sees an opportunity of making a lot of money from Copra. He does however fall in love with Joan Rice – who wouldn’t ? – and turns into a hero helping rescue the islanders from unscrupulous people. Andre Morrell is very good – as he always was – he was something of a stalwart of this era although never in the starring role but pretty dependable. He would have gone out to Fiji also for the filming which was all done on the islands rather than back on studio sets. Also cast were Abraham Sofaer and Benson Fong in quite good roles. This is one of my own favourite films – it is exotic, colourful with a good story and a lovely leading lady in Joan Rice. I was never a big fan of Burt Lancaster though but he did well enough in this and he had the name to ensure some success for Warner Brothers with the film which cost around $1.55 million dollars to make in the early fifties - so it would be quite big budget. After her return Joan Rice’s career just seemed to fade away even after The Story of Robin Hood and His Majesty O Keefe both major films with worldwide distribution. I can never understand this because in both films she was good and very watchable. Something went wrong but what ? 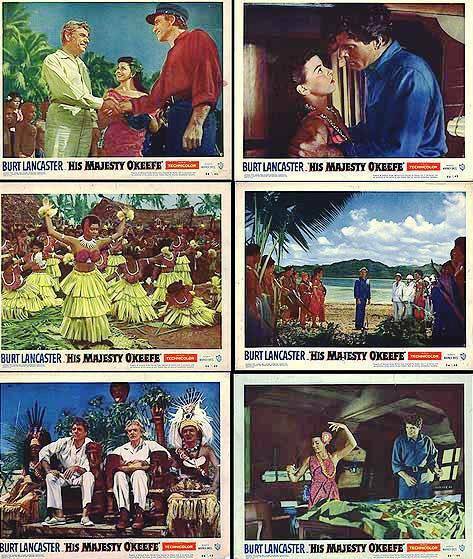 A year or two on from this film came South Pacific which as we all know was a memorable musical filmed on Tahiti mainly – so by that time we moviegoers had become quite familiar with the South Sea Islands. 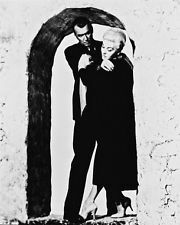 Just voted the Best Film of All Time this 1958 release starring James Stewart and Kim Novak builds up to a frantic climax with the audience wondering just what is going on. 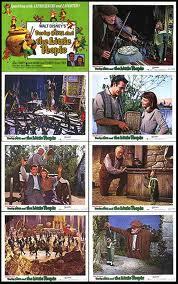 This film was made in VistaVision a process already mentioned in an earlier post and in Technicolor. The comments about Hitchcock’s cinematic sleight of hand rather sums his style up. Such things as the expectation of someone sinister coming in from one side of the screen when Hitchcock brings him in from the other – this technique is very noticeable in Psycho when the detective is attacked and stabbed at the top of the stairs in the Bates Motel. 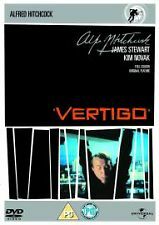 Vertigo focuses on the James Stewart character’s fear of heights which comes from an incident at the very start of the film and this is the fear that until the final frames of the film stops him from discovering what we all have come to know about the girl Kim Novak. This is a good film although I dont think it figures as one of my all-time greats. Hitchcock’s next film, North By NorthWest is a wonderful piece of cinema keeping us on out toes throughout the chase across America. Ths story does remind me of Saboteur though where Robert Cummings is again chased across the USA ending up at the top of the Statue of Liberty – to me a breathtaking climax on a par with almost any other film.